One of the most important aspects of Minecraft is the ability of characters to fly on servers. By enabling a fly mechanic, mods allow users to fly throughout a world and save valuable time commuting to one place or another to build. The cjb fly mod is ideal for situations where players need to be able to fly and create. 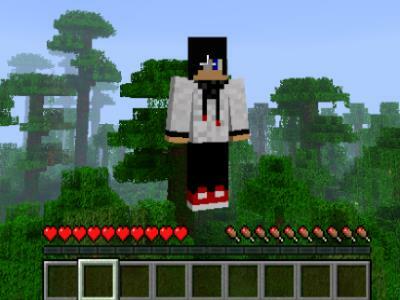 The cjb fly mod for Minecraft was designed specifically for situations that setup creative powers among players in order to create and design better worlds in which they have more power within. The mod itself creates more excitement and empowers world users more to be creative and to establish and create new worlds. By using the mod players are able to reach areas they otherwise would not be able to reach. They are able to establish themselves in locations to reach blocks that are suspended in the air or to hit the cap on the top of the level to build a structure to its largest possible height. Players are able to create a way in which excitement and creativity can be advanced through the use of better mobility in game. Minecraft fly mods allow players to build and to crate like never before and to make some exciting pieces within the Minecraft community. Being able to build in Minecraft means being able to establish exciting worlds. Flying mods allow players to explore and to discover new abilities within the game, so as to enhance their playing experience and expand their worlds in servers. The cjb fly mod can also be toggled so it is only used at certain times. This allows players to make sure the mod is not abused or to use the mod in conjunction with permissions so that only certain players are able to use it. This mod is a must for Minecraft fans.